When a woman has a chance encounter with a homeless man she thinks she recognizes, she begins to wonder what his life could have been like had he made different choices. Was Lyman Liri really the hero he claims to have been? And could his life have ended up much differently? These questions propel a journey through the various universes in which Lyman might have existed and show how our choices affect our own destiny, as well as the destinies of those around us. It is a certainty: one choice separates us all from a Fate of fortune or homelessness…. 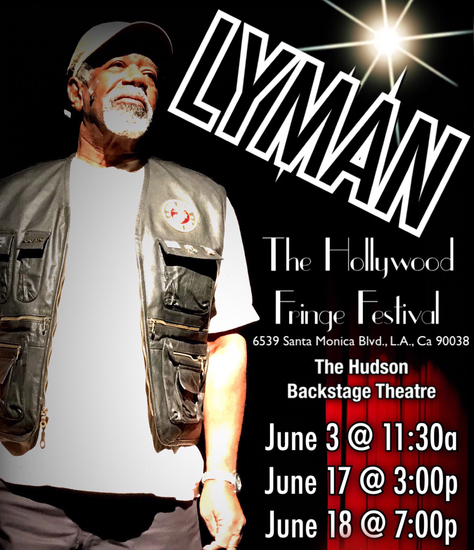 Guest-starring Lou Beatty Jr. (Betty White’s Off Their Rockers), Anne Johnstonbrown’s thought-provoking drama, LYMAN, is a cleverly-constructed rumination on Life and Fate. It explores the crucial choices the title character makes at key points in his life through stories told from the perspective of those who knew him as a hero. LYMAN features an original music score by the playwright and is performed by an illustrious cast of theatre veterans. Merchandise proceeds will benefit the Los Angeles-based homeless charity, Pauly’s Project.